Loops are arguably some of the most important features in any programming language and if you’re just starting to learn to code, they are going to be among the first hurdles you will need to overcome. And the fact that there are different types of loops just adds to beginner confusion. This article will walk you through the different types of loops in Java. And I will provide working examples in each case. While loops may be tricky for beginner developers, the good news is that, looping structures are very similar in different programming languages. Syntax is hardly ever the bottleneck. Basically, loops are control statements. They allow us to maneuver a program’s flow into different directions that are otherwise linear. With loops, you can repeat a process for a while, forever, or until some specified condition is met. Each of these loop structures allow programmers to control the execution flow of a program by performing a set of statements repeatedly as long as a defined condition continues to be true. The code inside both the for and while loops are executed zero or more times. Execution stops if the loop continuation condition is false. In contrast, the do while loop executes the code in its body one or more times. So, a do while loop code body always gets executed at least once – regardless of the looping continuation condition. They have a control variable – known as the loop counter. The loop counter must have an initial value – it must be “initialized”. On each iteration of the loop, the value of the control variable (loop counter) either gets incremented or decremented. All loops have a loop condition which determines if looping should continue or not. Interestingly, the differences between the 3 loop types are merely syntactic. If we want to, we can quite easily replace one type of loop with another type (we just need to tweak the condition/structure a little) and still get the same results. I guess, different types of loops are made available in programming languages primarily to satisfy developers’ needs for convenience and choice. Personally, I hardly ever use the do while loop myself even though in hindsight, there are quite a lot of situations where it could have come in handy. Let’s investigate each of these looping structures individually and then compare them against each other. The while loop lets us execute a statement (or a block of code) repeatedly until the loop condition is false – or “while” the condition remains true. For example, say we want to print all consecutive even numbers from 1 to 20. To do this using a while loop, we first define and initialize our loop counter variable outside the while loop. Then we state our loop continuation condition. And then, somewhere inside the loop, we increment the loop counter control variable so that at some point during the loop’s iteration, the condition will become false and program execution will break out of the repetition. // Define and initialize the loop counter control variable. // We start testing (counting up) from 1. // Notice the loop continuation condition. // Our limit is 20 so we're checking if our counter is less than or equal to 20. // Now we check if the number is divisible by 2 using modulo (%). // If the number is divisible by 2, it is even. // Finally, we increment the loop counter. Before the program even reaches the while loop, it first finds the variable named counter and initialized to 1. When the program first encounters the while loop condition, it evaluates to true because the value of the counter variable is 1 (and 1 is less than 20). The program then enters the body of the while loop and evaluates the statements in there. In this case, it tests if the value of the counter variable is even (by checking if it is divisible by 2). On the first iteration of this program, the println command will not be executed because 1 is not divisible by 2. The program goes ahead to increment the counter to its next value and rebounds back to the while loop condition to repeat the test. On the second iteration, the number “2” gets printed out because all the conditions are met. The program again increments the counter to its next value… and so on. At some point in the loop iteration, the value of the counter will be 21, which is greater than 20, and the loop condition will evaluate to false. At this point, program execution will break out of the loop. Then whatever code is written in place of “Some code here…” will be repeatedly executed forever (or until the program is interrupted). Because the loop condition is always true. This time, the condition will always remain true because the counter variable is decremented (and so will always be less than 20). Infinite loops like the above are common mistakes in programming and depending on the code complexity, they may not always be easy to detect. However, it is a programmer’s responsibility to ensure that their code doesn’t hang up in an infinite loop. The code block within the loop will never get executed since the initial condition wasn’t met. The for loop is very similar to the while in how it works. The difference is that with the for loop, the control variable, the loop continuation condition, and the increment (or decrement) of the control variable can all be stated on a single line of code. True, I have removed the comments earlier added. But you can still notice that the for structure looks shorter than that of the while loop. for loops save us some extra lines of code by allowing us control everything in one line. This, I believe, is probably why the for loop (or enhanced versions of it) is the most widely used loop structure in pretty much any programming language. You can also write different variations of for loop code. One thing to note about the different for loop structures above is that when the control variable (loop counter) is declared in the for loop header, the control variable will not exist outside the loop. It is scoped within the loop only. However, when the control variable is declared outside/before the loop, it exists both outside and within the for loop. Isn’t code such a beautiful thing? Both while and for loops are “entry controlled”. They first evaluate the truth of a condition and only execute the loop body when the condition is true. So you can easily substitute for loops with while loops. And vice-versa. If you want a loop that does not evaluate the truth of a condition at its entry, you should consider the do while loop. The do while loop is “exit controlled” (as opposed to the “entry controlled” looping structures discussed above). The code body of a do while loop will always get executed at least once. No condition is evaluated the first time. The do while loop is however, quite similar to the while loop in its structure – the control variable is initialized outside/before the loop header, and the incrementing or decrementing of the control variable is performed within the loop body. for and while loops are designed to be executed zero or more times. This means that they may not execute at all if the initial condition evaluates to false. But do while loops always executes one or more times because it does not check any condition during its entry. If you have only one line of code within the body of a while loop or a do while loop, it is not mandatory to wrap the single line of code with braces. However, for do while loops particularly, it is recommended (and conventional) to still wrap a single line of loop body code with braces. The reason for this is to avoid confusing the “while” portion of a do while loop with an independent while loop. Using braces makes do while loops easy to read and maintain. There’s technically a fourth kind of looping structure in Java – the enhanced for loop. It is meant solely for iterating through an array or a class that implements Iterable. I haven’t discussed it in detail here because with a good knowledge of the above 3 basic looping structures, the rest is easy stuff. 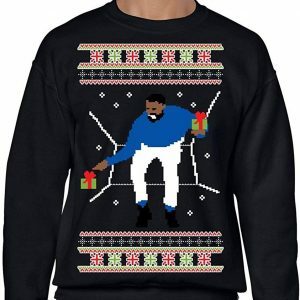 Show up at that holiday party in this Hotline Bling Ugly Christmas Sweater and rock it like a proper fan of the 6 Man. Whether you just want to stay warm or plan to break it down like Drizzy on the dance floor, this will get the job done! 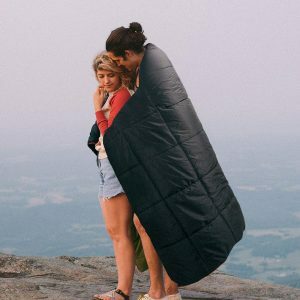 Stay warm outdoors with the Battery Powered Heated Blanket. It heats up in seconds and will keep you warm for up to 4 hours on a single charge. Its power bank can also charge your mobile devices or jump start your car up to 20 times! Chinoms on What Would Alien Life Look Like?Aliens - do they really exist? Alex Gonzalez on Apply Themes To SharePoint Website Programmatically.Hi Ehi, so you know of any site where I can purchase professional looking theme templates for a public SharePoint online website? El HespÃ­ritu on Finding SharePoint web.config file(s)I'm a man of my word. Looks like you're currently more active on another platforms. We'll be a touch. AiyÃ¤! Howard Bash on Setting up a SharePoint 2016 dev farm in Azure – Part 4: SharePoint 2016 InstallationYes. I appreciate your help on this. Thanks! I'll double check. I connected to the sqlVM using SP. I'll try the other two now. Courtney on How To Set A Date Value In A SharePoint Designer WorkflowThis is a great guide on how to do this. Thanks! Move a VirtualBox VM from one host to another while retaining the original snapshots. You can also move VMs to external drives this way. Locked out of your WordPress site? No worries. Here I show how to force reset a WordPress password or create a new admin user - MySQL or FTP. An introductory article on PowerShell desired state configuration (DSC). In this article, I explain at a high level what PowerShell DSC is all about. And then, I provide a simple example that demonstrates at a basic level how PowerShell desired state configuration works.